The, official TV Product, Riddex Plus works with the wiring in your home. 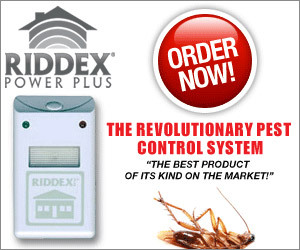 Simply plug in a single Riddex Plus and it immediately turns the wiring in your home into a giant digital pest repeller creating an invisible digital force field. Chasing mice, rats, and roaches from your home by interfering with their nervous systems.